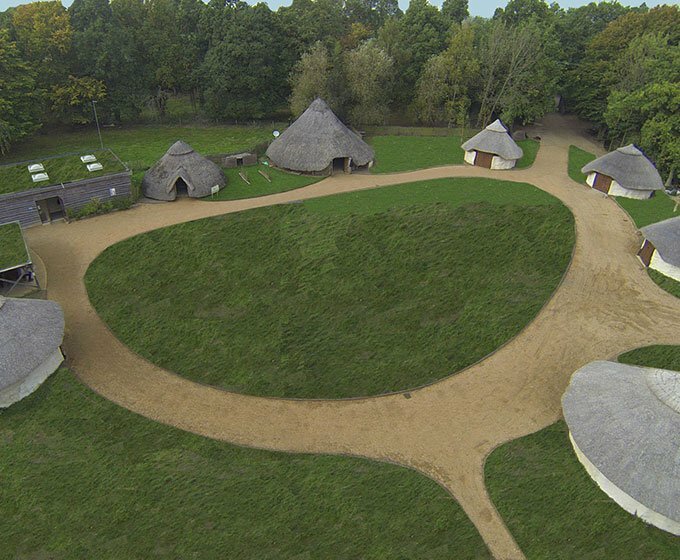 Set in the tranquil and natural settings of Bourne Wood, the camp is a reconstruction of a Celtic Iron age Settlement, which includes a Chieftain Roundhouse, Iron Age Barn, Ancient breeds of Shetland Sheep, Herb Garden, Archery Field, Wooded Hunting Zone and acres upon acres of un-spoilt woodland. The camp allows you step back into Celtic times, enabling you to experience the ancient culture, crafts, and a range of activities. 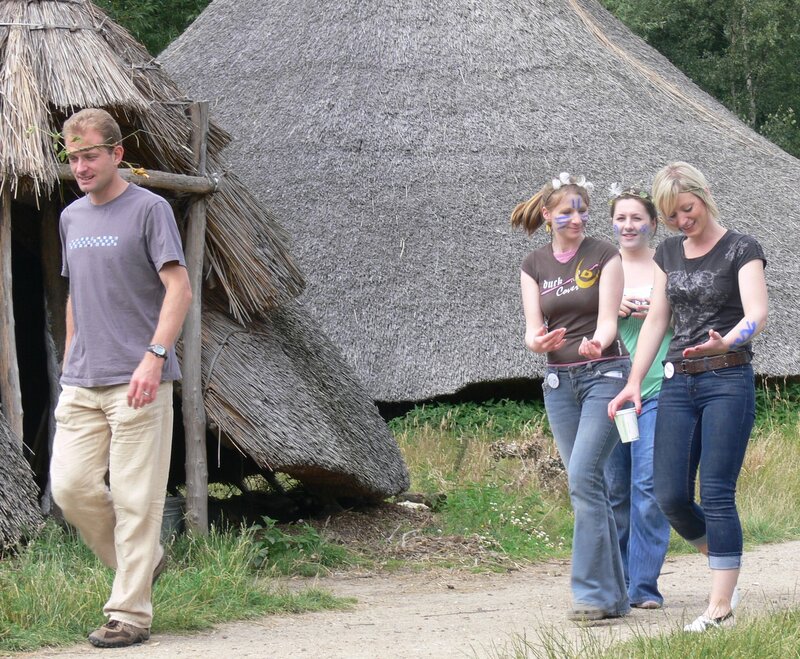 There are various days in which you can book for your team building day, such as the Archery Challenge and the Iron Age Challenge, in which teams work together taking part in tasks, while learning ancient skills. There are also Conservation days, where teams of volunteers come and do Scrub Clearances around the camp and help maintain the Iron Age buildings and structures. 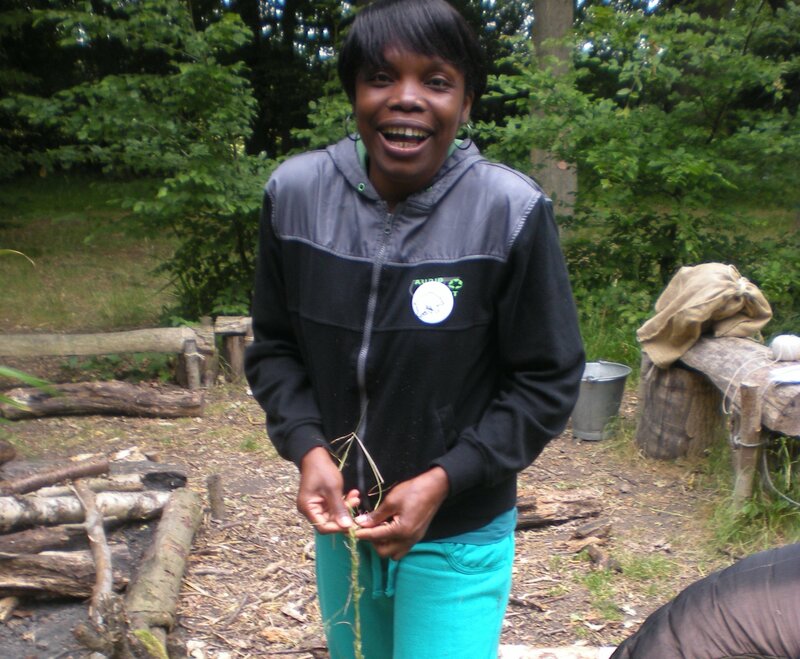 The preparations of workshops are also available for groups to come and set up, which all goes towards our School & Family Programme and Social Enterprise. Refreshments and food can be provided if required. 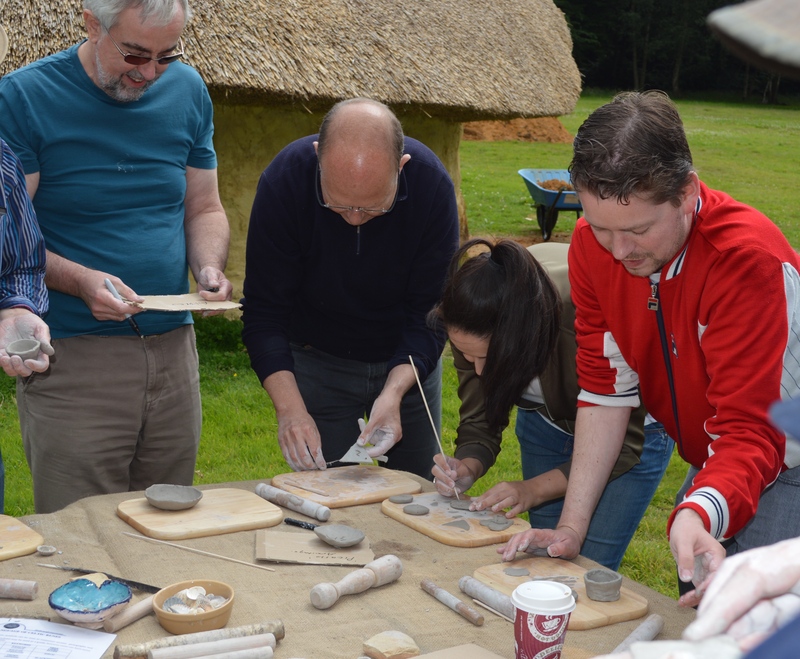 So if you would like to be able to give something back to the community, and experience things you wouldn’t normally in the office environment, then come and step back in time at the Celtic Harmony Camp.